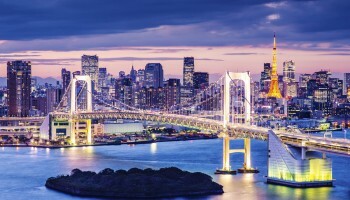 Japan is famous the world over for its first-class ski and snowboard resorts with exceptional facilities and diverse attractions. 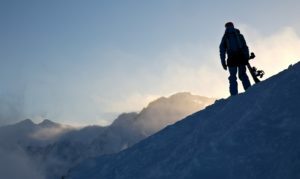 The season officially starts in December and lasts until April, with the best conditions typically in January and February. 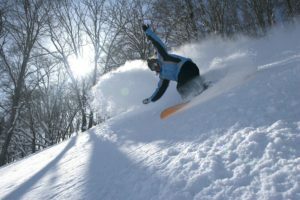 The three main areas for skiing and snowboarding are Gifu and Nagano on the main island of Honshu, the northern island of Hokkaido, and Niigata on the Sea of Japan coast. With more than 500 ski resorts to choose from across the country, here’s a selection of 10 of our favorites. 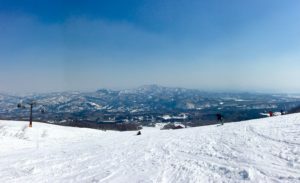 Meiho ski resort located in the picturesque Gujo region of Gifu Prefecture offers spectacular 360-degree panoramic views of the Northern Alps, along with top-class runs. 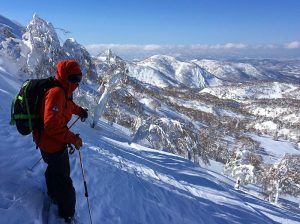 It’s regarded as being the number one ski resort in Western Japan with four ski slopes and 12 trails, including a sweeping five-kilometer run from the summit. Great facilities mean you can enjoy chillout time as much as the hours on the slopes. Why go? Meiho is a popular ski and snowboard destination for people in the Kansai region of Japan so it's ideal for combining with a trip to Kyoto and Osaka during the winter. Nicknamed the St Moritz of Japan for its glitzy hotel and rather swanky facilities and services, Appi Kogen is one of the country’s most popular resorts. It’s a little more pricey than most, but offers a high-quality experience that justifies the extra spend. The resort encompasses 45.1 kilometers of terrain with 21 different trails (so there’s a lot of variety) but it’s well-known for its wide, long pistes including groomed and ungroomed, as well as mogul terrains. Why go? Appi has lots of great English-language infrastructure, including signage, restaurant menus and accommodation. It also provides group ski and snowboard lessons in English. Kiroro is located very close to Hokkaido’s main city of Sapporo and is a modern facility that is very family oriented with lots of fun activities. It offers plenty of pristine soft powder snow surrounded by the majestic nature that characterizes Japan’s northernmost island. There are 21 courses with the longest run being four kilometers. 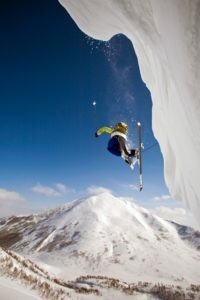 The area also receives a lot of snow, with an annual fall of more than 17 meters – even more than popular Niseko. Why go? Kiroro is not as well-known as other resorts in Hokkaido so it's less crowded, but still provides enough facilities for a complete ski trip. 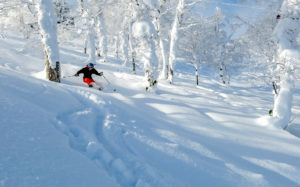 Rusutsu is an all-in-one ski resort with deep, light powder snow and a wide range of activities. 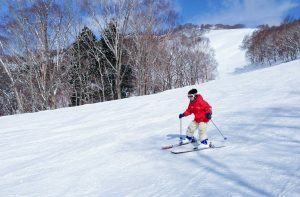 It’s the largest single ski resort in Hokkaido, offering 42 kilometers of immaculately-groomed slopes covered in a variety of trails to suit experienced ski and snowboarders, as well as complete beginners. 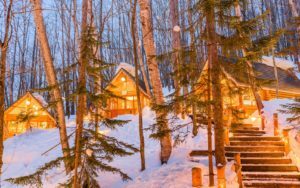 Kids can enjoy dog sledding, tubing and snowmobiling, while the adults can indulge in a great selection of restaurants. Why go? 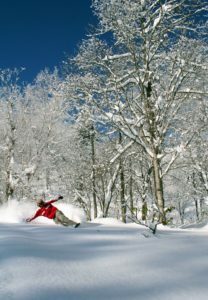 Rusutsu is beloved for its top-notch powder and opportunities for off-piste skiing. 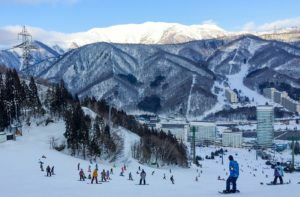 Naeba in Yuzawa is extremely popular due to its long snow season which lasts until May, plus the fact it’s only an 80-minute train ride from central Tokyo. 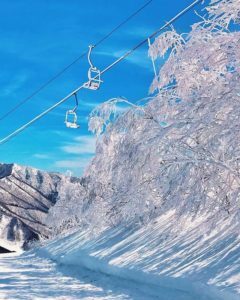 Naeba Ski Resort can boast 27 courses of varying skill level with high-quality powder snow, great facilities, rotenburo (outdoor hot springs) and amazing-tasting sake. The trails include a dynamic four-kilometer downhill course, as well as a playland area above the snow for those with families. Why go? 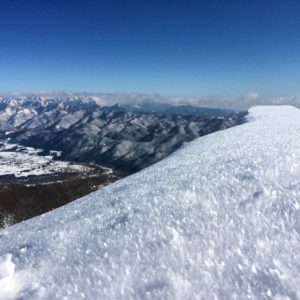 Naeba is connected to nearby Kagura resort so you get two for the price of one! 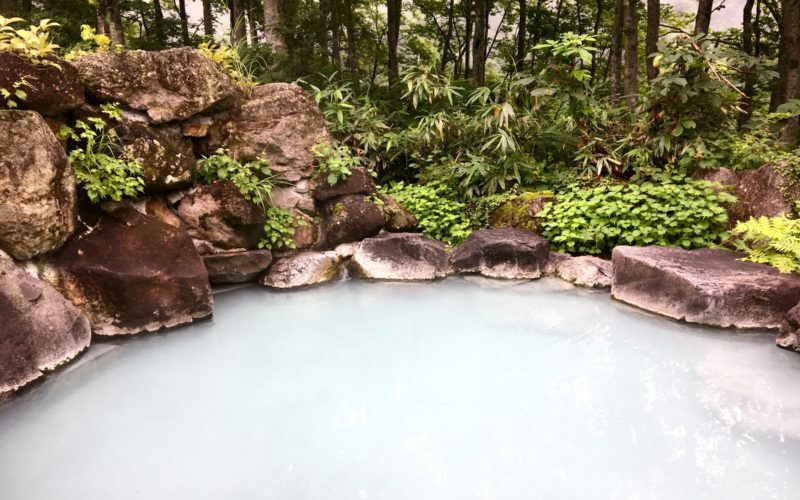 Myoko Kogen is rich in history, culture and onsen offering much more than just your typical skiing and snowboarding experience. 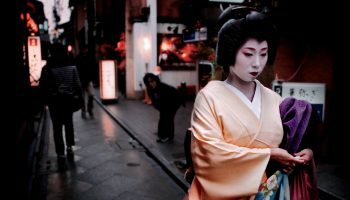 The traditional Japanese town is the perfect place for those looking for a real Japanese cultural experience rather than the nightclub and party scene. 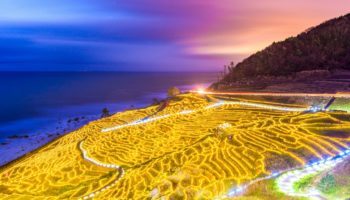 It’s less crowded and more laid back than many of the other popular resorts in Japan with nine main mountain resorts, including Myoko Suginohara, which hosts the longest run in Japan at eight and a half kilometers. Why go? Myoko Kogen offers the complete experience: great skiing and snowboarding plus an array of authentic traditional experiences, including many onsen. 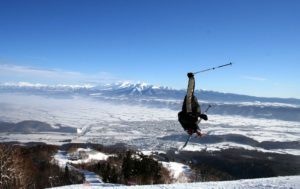 Furano with its tree-lined runs, light dry powder snow and friendly warm relaxed atmosphere is a fantastic all-rounder to suit any level of skier and boarder. The popular resort is spread over two main areas, offering 25 kilometers of well-groomed runs, plus well-developed amenities and services. The resort is ideal for families with beginner runs in addition to an attraction called “Family Snowland”- providing fun winter activities for kids. Why go? 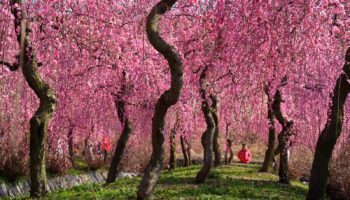 Furano isn’t just your standard self-contained ski resort; the town is famous in its own right as one of Hokkaido's top tourist destinations. 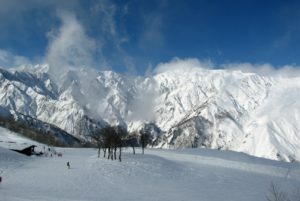 Host to the 1998 Winter Olympics, Hakuba Valley is one of Japan’s largest and most renowned alpine resorts. 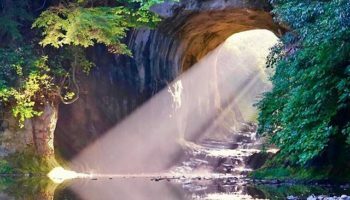 Considered the heart and soul of snow sports in Japan, it offers amazing powder snow, snow-laden peaks and valleys, along with great conditions all within easy reach of Tokyo via the bullet train. Located deep within the Northern Japan Alps – famous for their natural beauty and 3,000-meter peaks – it features a total of 11 different ski resorts with over 200 runs. 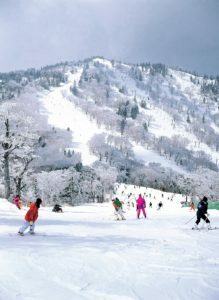 Hakuba Valley has a real European feel to it with two of the most popular resorts being Happo One and Shiga Kogen. 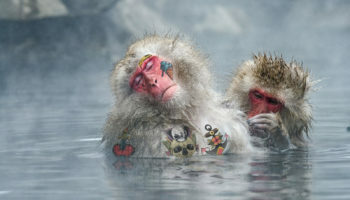 Snow monkeys (Japanese macaque) relaxing in a hot spring pool (onsen)at the Jigokudani-koen in Nagano Japan. Nozawa Onsen is a charming hot spring village and ski resort located near Nagano City that offers abundant snow, diverse terrain and an authentic Japanese cultural experience. The historic town is one of Japan’s oldest ski resorts and is considered by some to be the birthplace of skiing in Japan (introduced by an Austrian in 1912). The resort features over 50 kilometers of terrain ideal for skiers and boarders of all levels. 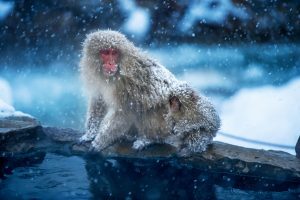 Make sure you also check out the Jigokudani Snow Monkey Park located close by where you can watch wild snow monkeys bathing in the local hot springs. Why go? Two words: bathing apes. 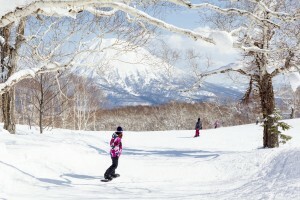 Top spot goes to Niseko, the largest and most famous ski resort in Japan. 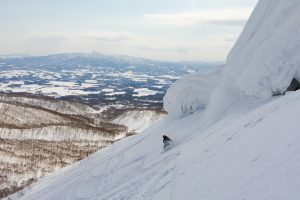 Located just southwest of Sapporo, it features 47 kilometers of well-groomed terrain with seven ski areas that boast one of the highest average snowfalls in Japan (at over 15 meters). The resort is renowned for its deep, high-quality and consistent soft powder snow and long runs, which are ideal for families, beginners and intermediates. Since it is so popular, it can get quite busy during peak season – but with the fun, international vibe you’re guaranteed to make friends. Why go? 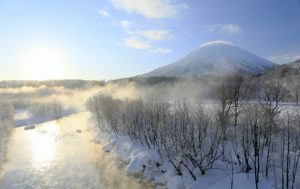 The reasons why Niseko consistently features on "World's Best" lists for skiing and snowboarding are too many to name here. So go check it out for yourself! 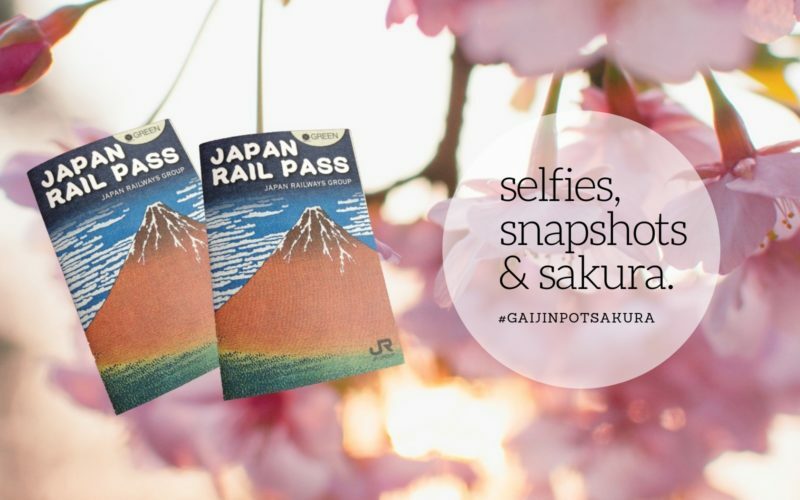 Get an extra dose of winter travel advice from our GaijinPot skiing and snowboarding winter guide.